If you have been served with foreclosure paperwork you are likely beyond frustrated trying to deal with your bank. At Witt Law Firm, we are here to help explain all your options. Many clients simply wish to pay us $450 to attend the foreclosure hearing, review the Court file, and request a 60 day continuance. North Carolina Statute Section 45-21.16C (see below) gives the Clerk of Court power to grant up to 60 day continuance for a principal residence where good cause exists. Even if the Clerk of Court is not willing to postpone the hearing he or she may be willing to push back the sale date. This may provide additional time for you to reapply for a loan modification or consider other foreclosure alternatives. Often homeowners are too busy to attend the hearing or fail to notice the hearing date as it is usually hidden in the paperwork. Furthermore at the foreclosure hearing you have an opportunity to challenge the lenders right to foreclose. Contest bank's validity to foreclosure. North Carolina Foreclosure Prevention Fund. Contact the Neighborhood Assistance Corporation of America "NACA" for assistance. Request a continuance at the hearing date. Bankruptcy to delay sale or save your house. What must the Trustee prove at the Foreclosure hearing? The right to foreclose in the Loan Documents. Proper notice of the foreclosure. N.C.G.S. § 45-21.16C. 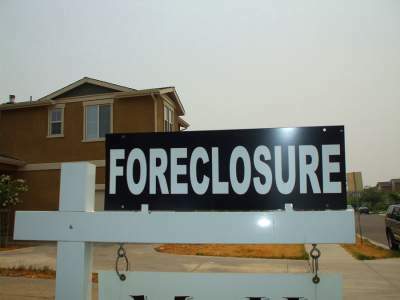 Opportunity for parties to resolve foreclosure of owner-occupied residential property.